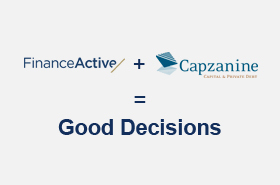 Finance Active doubles its efforts to speed up growth: the French Fintech company introduces new offers for the corporate and public sectors, boosts its international presence targeting 30% of turnover by 2018 and opens up 25% of its capital to Capzanine fund. Finance Active introduces Fairways, a new offer for the corporate sector that enables large-scale active management of financial risks and commitments related to debt, foreign exchange and guarantees. Thanks to a modular and agile approach, the platform, available in SaaS mode, can be easily implemented throughout the world. “We have an increasing demand for financial collaborative technologies from our customers that are international groups” explains Patrice Chatard, Co-founder and CEO of Finance Active. “With Fairways, over a hundred financial decision makers all over the world can work together on the same solution to share best practises and decisions”. “Our platforms allow companies to accurately monitor their transactions, benchmark spreads and therefore improve their financial performance”, adds Patrice Chatard. “We are the only ones in France and Europe who develop such collaborative platforms for a worldwide market”. Although headquarters are based in France, Finance Active has 6 international subsidiaries and 10.000 users throughout the world. This Fintech company has expanded internationally into its different markets “This positive trend allows us to create jobs in France. All our R&D engineers work in Paris, in Place de la Bourse”, says Jacques Descourtieux, Co-founder and CEO of Finance Active. Moreover, Finance Active is planning to strengthen its team by hiring around 30 employees every year. The company aims at doubling its turnover from €17.1M to €35M by 2018 (with 30% coming from international markets), by combining internal and external growth. To support its development strategy, Finance Active opens up 25% of its capital to Capzanine fund. “The aim is to provide funding for our development since, over the next three years, many aspects of our core business will be strictly related to the digitalisation of the relationships between banks, institutions and companies. We want to become one of the world leaders in financial SaaS”, concludes Jacques Descourtieux. Founded in 2000, Finance Active operates in four main fields: debt and investment management, foreign exchange risk management, guarantee management and financial forecasting. Finance Active offers a unique approach that combines online collaborative management platforms; our solutions are continuously connected to financial markets and are specially designed for companies, local authorities and financial institutions. With a turnover of €17,1M and 140 employees in France and abroad, Finance Active is a founding member of France Fintech.